Have you sent in your snapback? Its super easy. 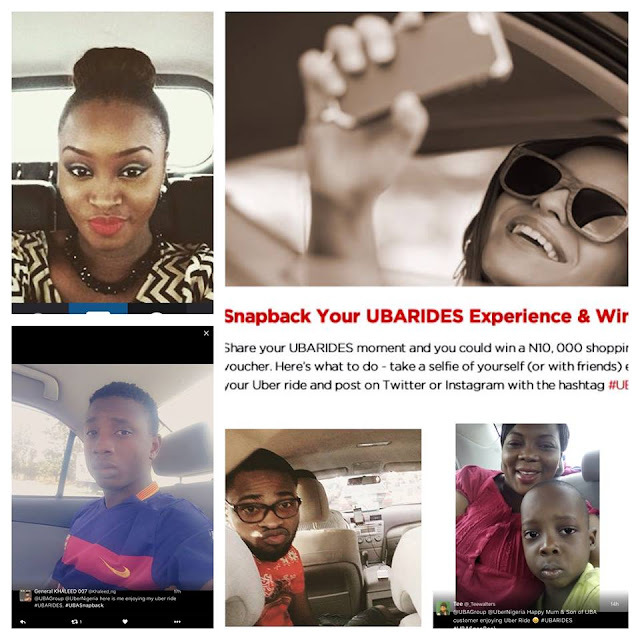 Share your UBARIDES experience by snapping a selfie with friends, family or just yourself and posting on twitter or Instagram using #UBASnapback #UBARIDES. Be sure to tag us in the post. You can be creative with it..do something fun. We will be giving out vouchers worth N10,000. Be sure to pay with your UBA card. First two rides with UBER get N6,000 off. Tell your friends to tell someone today!